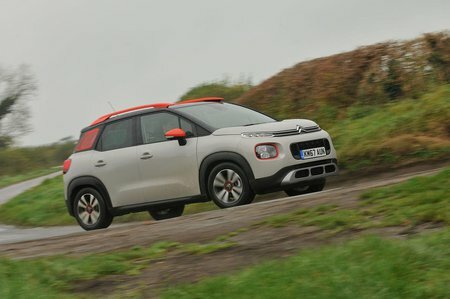 Citroën C3 Aircross Running Costs, MPG, Economy, Reliability, Safety | What Car? 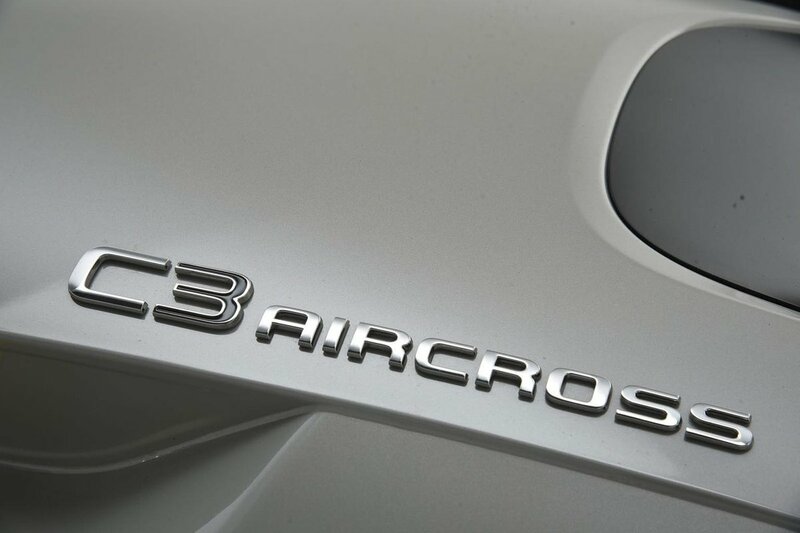 Look at the brochure prices and you’ll be pleasantly surprised, because the C3 Aircross costs less to buy outright than an equivalent Seat Arona or Kia Stonic. If you’re signing up to a PCP finance agreement, as the majority of buyers in this class choose to do, the C3 Aircross is good value for money compared with most other small SUVs. You’ll spend roughly the same per month than you would on an Arona and far less than on a Stonic. However, the C3 Aircross won’t hold onto its value as well as many rivals, while CO2 emissions and fuel economy are good rather than exceptional. In our real-world True MPG tests, the 1.2 Puretech 110 averaged 43.5mpg, whereas the Arona 1.0 TSI 95 managed 45.5mpg. Choosing a trim level is pretty simple because there are only three: Touch, Feel and Flair. We’d go for Feel because this is the cheapest way to get a decent amount of infotainment kit, plus you get power-folding door mirrors and electric rear windows. We’d definitely recommend adding the optional City Pack (rear parking sensors) and the Family Pack (sliding rear seats, a folding front passenger seat and automatic emergency braking), though. Range-topping Flair trim is also worth considering because this brings climate control, rain-sensing wipers and keyless entry and start, plus a few personalisation options that you have to fork out extra for on the cheaper trims. However, unsurprisingly it pushes up the price considerably. 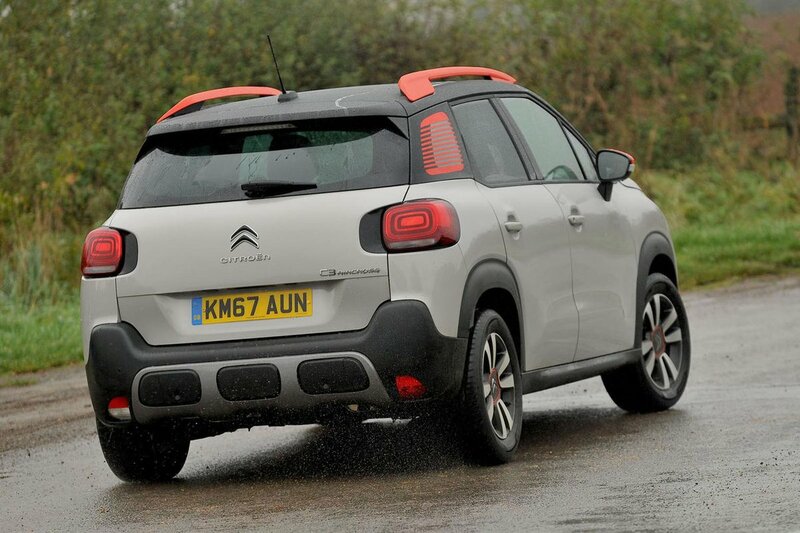 The C3 Aircross was too new to feature in our most recent reliability survey. However, Citroën as a brand didn’t do very well at all, finishing fifth from bottom in the manufacturer league table. Only cars from Nissan, Tesla, Land Rover and Jeep were reported to be less reliable. You get a two-year manufacturer warranty with no mileage limit, plus a further one-year dealer warranty with a 60,000-mile cap. That’s roughly the same cover provided by Seat on the Arona, but Kia offers a seven-year warranty on the Stonic. It’s disappointing that only range-topping Flair models come with automatic emergency braking as standard. This important safety aid is standard on the majority of rival small SUVs. More positively, all models come with lane departure warning, a driver fatigue detection system and speed limit sign recognition, so you’ll have no excuse if you get an SP30 in the post. All trim levels come with an alarm and an engine immobiliser as standard, plus there are Isofix mountings on the outer rear seats.